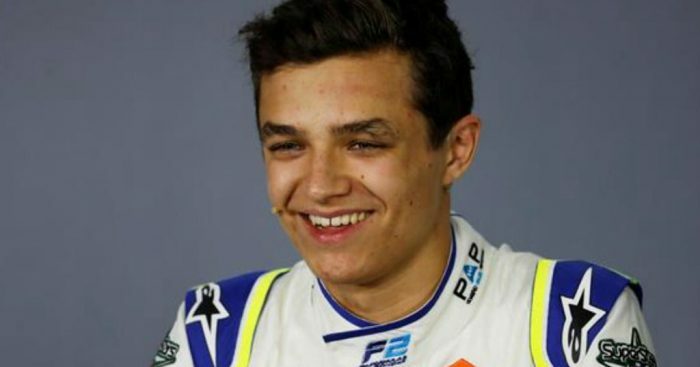 Lando Norris will have another opportunity to lay claim to Stoffel Vandoorne’s McLaren race seat when the team evaluates him at Monza next week. Norris was in action for McLaren in Friday’s first practice for the Belgian Grand Prix where he out-paced Vandoorne by just under a tenth of a second. The Formula 2 driver will return to the cockpit of the MCL33 at Monza next Friday. McLaren sporting director Gil de Ferran said: “He did a great job. “One thing he has is great adaptability to new situations, I’ve seen that in the tests he’s had and also here. “We wanted to bring him here as part of his development with a lower downforce level, more cars on track, track evolution and really give him that experience. “It was the same thing, he came up to speed very quickly and did a fine job, not making any mistakes. While McLaren have confirmed Carlos Sainz for next season, the team has yet to name his 2019 team-mate with Vandoorne hoping to stay on while Norris is keen to replace him. Esteban Ocon could also be in the mix for the McLaren seat as he is believed to be on the verge of losing his Force India drive to Lance Stroll.